No sooner do we get rid of Jako (in the field) when a friend of his turns up! Slightly larger and more, well, worldly looking. If you get what I mean! ‘You’re not welcome here!’ I pointed a finger at him, while shinning a torch on the bemused creature. ‘Indeed, this is a home for waifs and strays,’ I continue kindly, ‘ but it is also home to three fat cats, two of whom, are sitting here waiting to meet you!’ I didn’t add that their tails were wagging impatiently and that they were licking their lips. 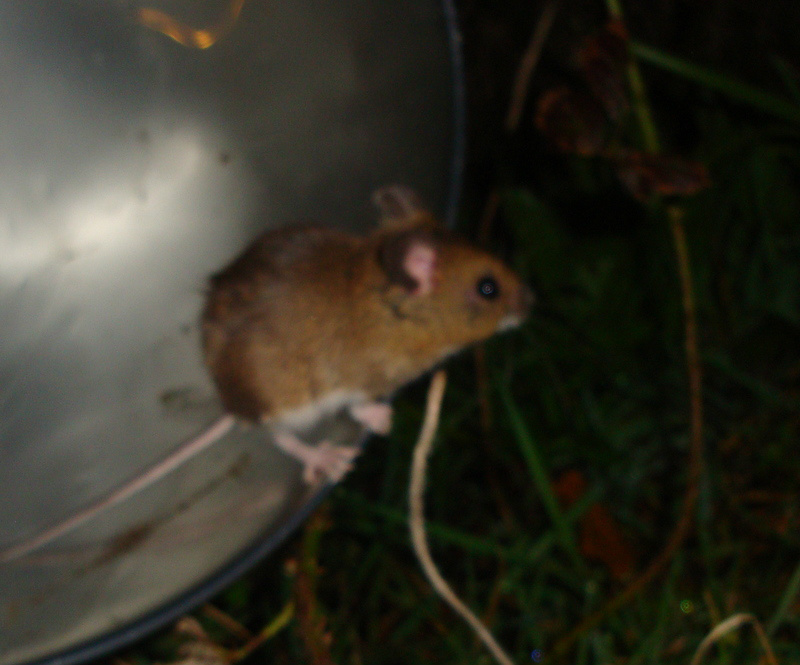 The very young rat/mouse whatever, stared back at me from a gap between two cupboards. My kind and unassuming husband appeared with a bucket. As clever as he is, I didn’t except him to be able to catch Jako’s friend in such a thing, so I went in search for something far more suitable. After much toing and froing, we eventually catch Jako’s friend.....in the bucket. My kind and unassuming husband looked very pleased with himself and rightly so. Once again, we strolled over to the field and let the animal go. It hesitated, to our surprise. ‘Go on!’ I shouted, ‘Jako is waiting for you!’Its nose twitched and its ears pricked up and off it went.